The eSports world has changed considerably in the last two years, with venture capitalist owners entering the scene and some major brands now backing teams. Consequently, what had been a niche market in many ways has now turned into a major business opportunity. In September 2016 the NBA’s Philadelphia 76ers bought the North American League of Legends brand Dignitas. Until then, there had been interest from high profile athletes such as Shaquille O’Neal, Rick Fox, Jeremy Lin, Jonas Jerebko, Alex Rodriguez and Jimmy Rollins, all of whom had invested into the market, but the 76ers were the first major franchise to jump into eSports from what would be considered the mainstream sporting environment. Others quickly followed. Probably the most high profile operation was aXiomatic, an eSports ownership and management group set up by media and technology entrepreneurs Peter Guber and Ted Leonsis. The group purchased the controlling interest of North American organization Team Liquid, who regularly compete in ten eSports titles. Guber, who is part owner of the Los Angeles Dodgers and Golden State Warriors, as well as having other mainstream sports interests, and Leonsis, owner of the Washington Wizards in the NBA and the Washington Capitals in the NHL, were joined by Magic Johnson, Tony Robbins and Steve Case as the most high profile members of the controlling group. Later in the year, Puji Capital from China invested in aXiomatic in a further confirmation of the financial muscle arriving into eSports. It was reported by ESPN in early 2017 that NBA owners had been briefed on the potential of eSports, with many reportedly interested in the future of the discipline. One of those owners quickly jumped into the scene, with the Miami Heat somewhat surprisingly joining up with the European organization Misfits, who currently have League of Legends, Overwatch and Super Smash Brothers players amongst others in their fold. Like the 76ers deal, the Miami Heat have a stake and partnership with Misfits to cross promote. Miami are also taking care of all sponsorship opportunities for the young organization. Other notable NBA owners that have gotten into eSports are Memphis Grizzlies co-owner Steve Kaplan and Milwaukee Bucks co-owner Wesley Edens. Kaplan has been involved with the North American organization Immortals, with the young brand having one of the top North American League of Legends teams and the second-best Brazilian CS:GO squad. 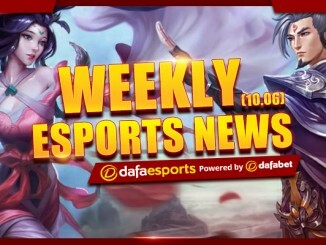 In September it was reported that Kaplan had boosted his commitment to Immortals by increasing his stake in the team. Edens recently set the market for buying a single team as the Bucks owner made a deal for $2.5 million to buy his way into the North American League of Legends Championship Series with the purchase of former Challenger team Cloud9 Tempest. The team were later rebranded as FlyQuest, and they have done surprisingly well in their first split in the top flight North American League. Former Los Angeles Laker Rick Fox has also moved heavily into eSports, with the NBA champion forming his own North American organization called Ecco Fox. 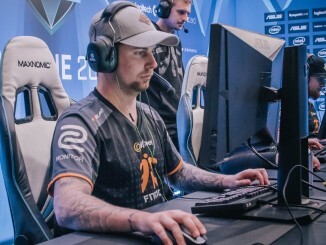 With teams and players in League of Legends, CS:GO, Smash and Street Fighter, Ecco Fox have been one of the more active outfits since entering the scene a couple of years ago. Jonas Jerebko, a current member of the Boston Celtics, was one of the first active NBA players to purchase a team, with the 29-year-old Swede buying Renegades in August 2016 for an undisclosed amount. Jerebko moved the team, who were originally from Australia, from Las Vegas to Detroit and rebranded them as the Detroit Renegades. South Korea has had a massive culture of eSports dating back more than two decades, with some of the top brands in the country sponsoring teams. Current giants like Samsung, SKT (South Korea Telecom), KT (Korea Telecom) and Jin Air Airways have been staples in the scene for many years. 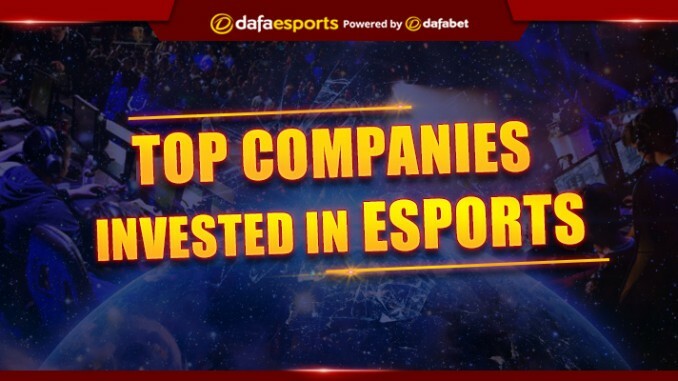 These brands have injected major money into Korean eSports, enabling the country to keep their top flight League of Legends talent, with some contracts rumored to be worth $2 million a year. Over in Europe it is soccer clubs that are leading the way. According to Forbes, current Bundesliga champions Bayern Munich are one of eight German clubs actively looking to invest in eSports. Borussia Monchengladbach, Hamburger SV, Werder Bremen, FC Ingolstadt, Bayer Leverkusen, FC Koln and Hertha Berlin are all said to be interested too. Another Bundesliga side, Schalke, have already been involved with multiple eSports teams, as have Wolfsburg. This month the Dutch Eredivisie will launch their own eSports league and with Manchester City and West Ham involved in the UK, FC Copenhagen in Denmark and PSG in France to name just a few, this investment shows no sign of slowing down.